Mr. W and the crew at the school prior to leaving for the bus ride to Delaware Valley. AJ, Michael, Nathan, Matthew, Philip, and Sawyer. The guys outside the Philadelphia Expo Center at Oaks, where the DVSF is held. Gotta get that ATM photo every year! Sawyer Dilks took first place in Behavioral and Social Sciences for the Junior Division (6th-8th grade) at the awards ceremony the following night. Matthew Levine also received Honorable Mention in Computer Science. AMAZING job, guys! 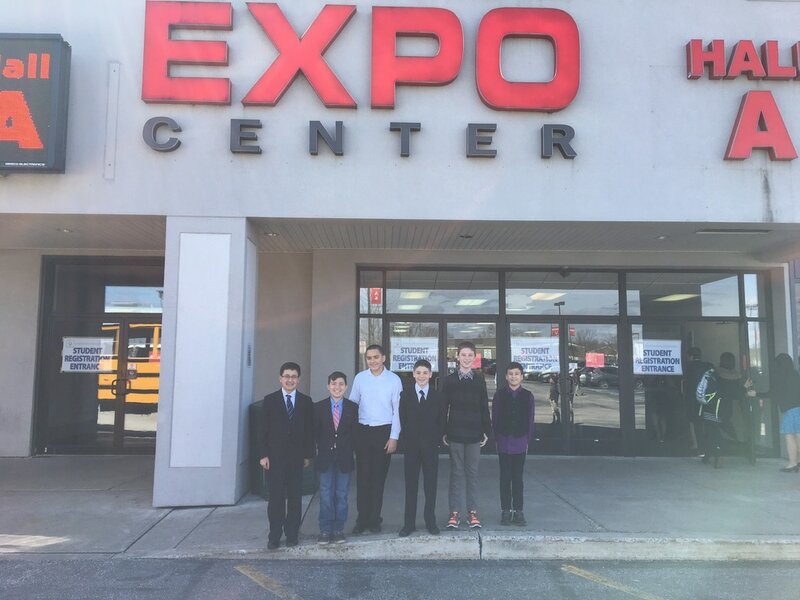 A group of 6th grade students from the Fernwood Gifted and Talented classes competed at the 69th annual Delaware Valley Science Fair on April 5th. 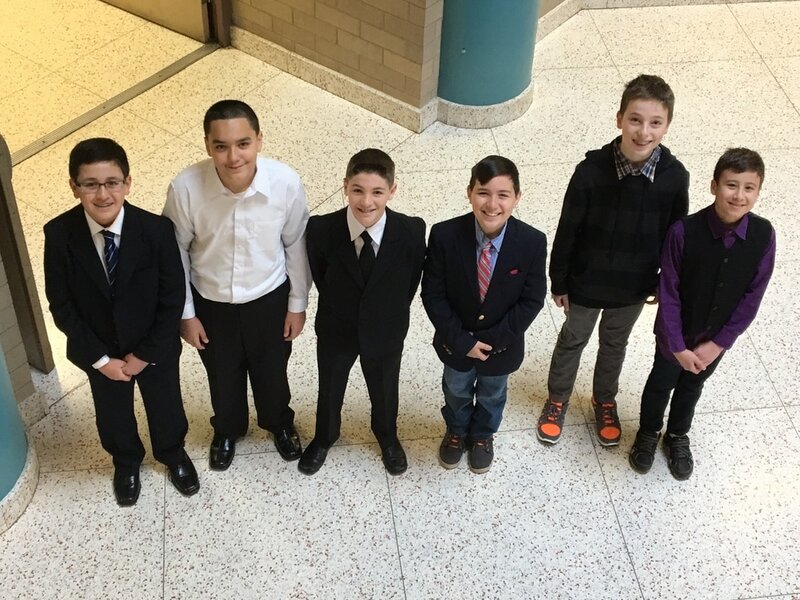 All six students did an outstanding job in representing themselves, their school, and Egg Harbor Township, and two of them were recognized at the awards ceremony the following evening. Sawyer Dilks earned First Place in the category of Behavioral and Social Science for his project Are Bilinguals or Monolinguals Better at Focusing on Relevant Information? He also received a nomination to participate in a national-level competition, Broadcom MASTERS, for having ”a top science fair project in the nation.” Sawyer’s project involved having test subjects listen to a recording with two different audio tracks playing simultaneously. One track was a discussion between two people about a movie while the other track was a third voice simply reading a list of animals. The test subjects were asked to focus on listening to the list of animals and to write down as many as they could. Sawyer’s results found that bilingual people were able to list significantly more animals than monolingual people, suggesting that bilinguals may be better at focusing on relevant information. Matthew Levine was also recognized at the awards ceremony, receiving Honorable Mention for his project in Computer Science, Arduino Temperature Sensor. Matthew designed, built, and coded a temperature-sensing device using an Arduino microcontroller. The other students who competed at the fair were Philip Socha (Behavioral and Social Science), Nathan Price (Biochemistry), Michael Nieves (Mathematics), and Alan Knudsen (Medicine and Health). ​ The fair, which takes place in Oaks, Pennsylvania, is a competition for students who placed either 1st or 2nd in their categories at local fairs throughout New Jersey, Delaware, and Pennsylvania and therefore includes some of the best young scientists in the Delaware Valley. 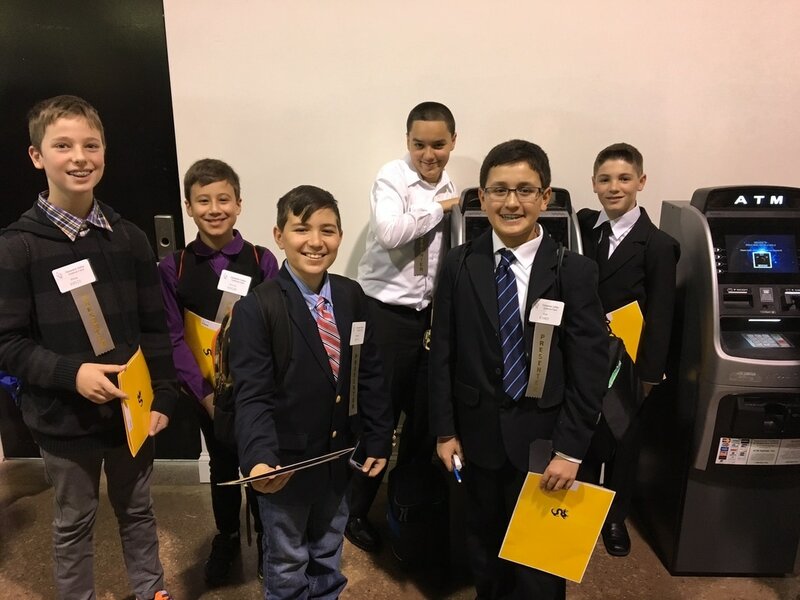 The Fernwood students had qualified by virtue of their success at the Jersey Shore Science Fair at Stockton University on March 18th.